I hope this letter finds you in great spirits as you continue to celebrate the resounding success of your movie. I have watched the movie three times already, and each time I leave with a different perspective; I am planning a fourth viewing this weekend. I commend you on the paternal themes that the movie raises and, in doing so, seek to reinforce the necessity for fathers to find their authentic voices when discussing manhood. As a single African mother raising a young son in Europe, I can’t begin to tell you what you have done for me. You couldn’t have shown up at a more opportune time. You see, recent dinner table discussions with my son have revolved around family, values and belonging. After seeing the movie, my son’s immediate questions were about your dad, uncle and cousin. It didn’t surprise him to see powerful, smart and funny women in control because he is surrounded by these kinds of women in his daily life. What surprised him was seeing seemingly powerful men become emotional and vulnerable. We see your uncle betray his people. We see your dad kill your uncle N’Jobu and abandon his young nephew N’Jabaka aka Erik Killmonger. We see your father hiding this truth from you. The choices and iniquities of your elders reverberated into your future and shaped the world around you. What fascinates me is how you came to accept the notion that the actions of your father didn’t define you. What skills and tools did you have at your disposal to arrive at this conclusion? 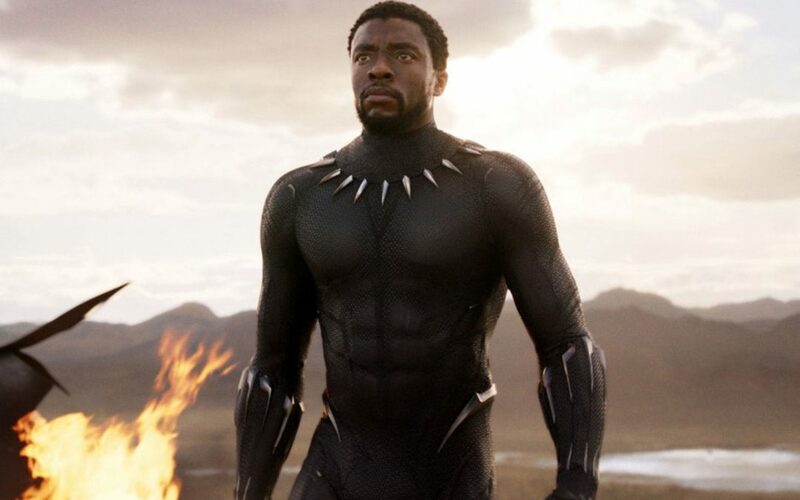 Your cousin, however, lets his father’s actions and the resulting consequences shape the entirety of his being to the extent that his rage completely consumes him; he eventually brought his rage to the land of this father and threw Wakanda into unrest. I answered my son’s questions in the best way I knew how, and took the opportunity to counsel him on the virtues of right versus wrong, the consequences of our actions-good and bad, the choices we have over how to handle our emotions, and of course added that adults are human too. We make mistakes and ultimately, what we do and how we recover from them is what defines us. Unlike what your father said, I emphasized that a good man, with a good heart makes a great king. “We all know the truth: more connects us than separates us. But in times of crisis the wise build bridges, while the foolish build barriers. We must find a way to look after one another, as if we were one single tribe.” My wish is that we don’t fail our youth and, more importantly, that we can all rise as a “village” and prepare our children for a future without us. So, as I embark on a journey towards inspiring and empowering young fatherless African boys, rest assured that the themes you raise in the movie are at the forefront of our vision to inspire emotionally intelligent, socially responsible and self- confident individuals capable of making meaningful contributions to their communities. Thank you for sparking and supporting my son’s imagination, he now looks up to you and imagines himself as King T’Challa and the Black Panther. Thank you for speaking to him in a language he understands. Thank you for being the invisible mentor to him and to all the young men who grow up without fathers.